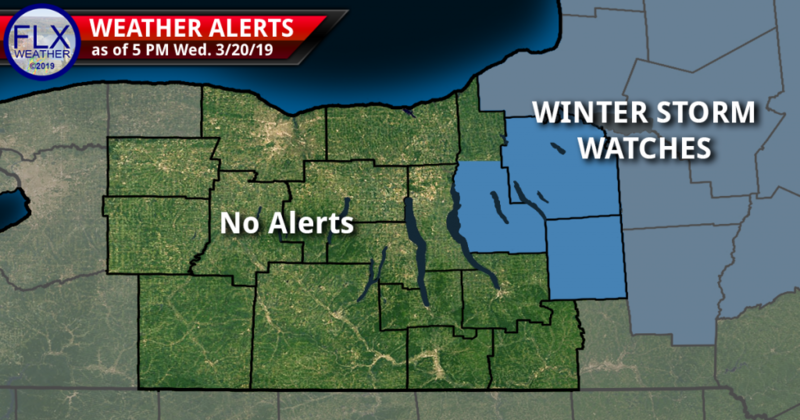 Winter Storm Watches are in effect for the counties in blue, which include Cortland, Onondaga, and southern Cayuga counties in the FLX Weather forecast area. The potential for snow in the Finger Lakes late Friday has prompted the National Weather Service (NWS) to issue a few Winter Storm Watches. The NWS issues a Winter Storm Watch to identify areas where heavy winter weather is possible, but not yet certain due to uncertainties in the forecast or the event being too far in the future. These are both the case with the Winter Storm Watches issued this afternoon for Cayuga (southern), Cortland, and Onondaga counties in the Finger Lakes Weather forecast area. Additional counties in Central New York and to the east of Lake Ontario are also included in the watch. Additional counties could be added to the watch at a later time. As the NWS astutely points out in their regular forecast discussion, temperatures a couple degrees warmer or colder will significantly alter the outcome of this event. More time is certainly needed before issuing snow maps for this event. In addition to premature snow maps, be very wary of terms like ‘bomb cyclone’ and ‘noreaster’ which loosely get thrown around in the media to scare and thus attract attention. The local areas most prone to a significant snow event in this scenario appear to be in the hills south of Syracuse. With borderline temperatures, elevation will likely have a significant role. Areas further west are also less likely to see the heavy snow, which will be enhanced by northwest winds over Lake Ontario. I’ve already begun fielding several questions regarding travel late in the week and the weekend. The time of most concern for traveling will be Friday afternoon through the overnight Friday night. The potential for snow will still need to be watched overnight Thursday night as well. Travel conditions should improve over the course of Saturday morning as the snow tapers off to flurries and temperatures push towards the mid 30s. Otherwise, there will be periods of rain throughout Thursday and early Friday. Travel conditions Sunday look great with sunshine and highs in the upper half of the 40s. Please, continue to send me emails and messages if you are worried about your travel plans. I can help with your specific needs and concerns. This is a tremendous service I am pleased to offer that you will not find anywhere else. Be sure to sign up for my email list to get notified of the latest blog posts at flxweather.com/email. The next update will be published Thursday morning with more details on the rain, when it may turn to snow, and the latest on the snow. I do not anticipate producing a snow map until Thursday evening or Friday morning. 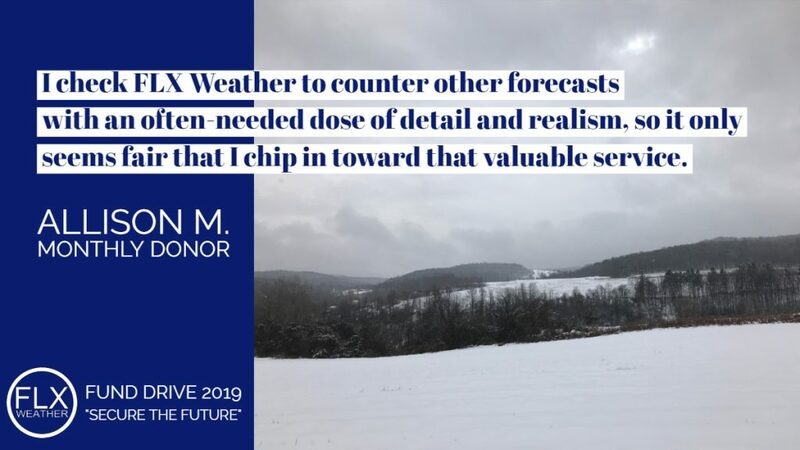 Also, my 2019 Fund Drive to ensure Finger Lakes Weather continues is ongoing. This is a very important Fund Drive, without which the future of FLX Weather would be in serious jeopardy. Please consider joining the dozens of other users who have generously contributed to keep Finger Lakes Weather running! Together, we can continue to build something amazing! 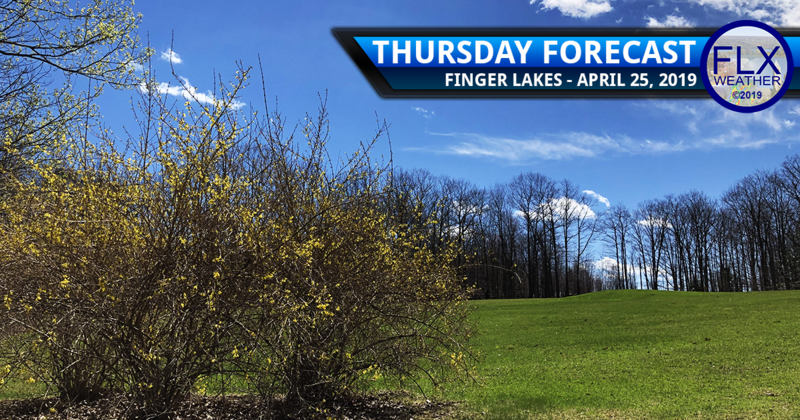 Finger Lakes Weather needs your support to continue providing no-hype forecasting! Click to donate, or use the form in this blue box! Without additional support, the future of FLX Weather is in jeopardy. I was planning to drive from Ithaca to Long Island on Friday. I am wondering if that will pose any driving hazards? Thank you in advance. If you travel Friday morning, the biggest concern will be the Catskills/Poconos depending on your route. If you travel in the afternoon, road conditions will still probably be in generally good shape. Friday night, the snow will mostly be from Ithaca northward, so going towards Long Island will take you out of the worst areas.